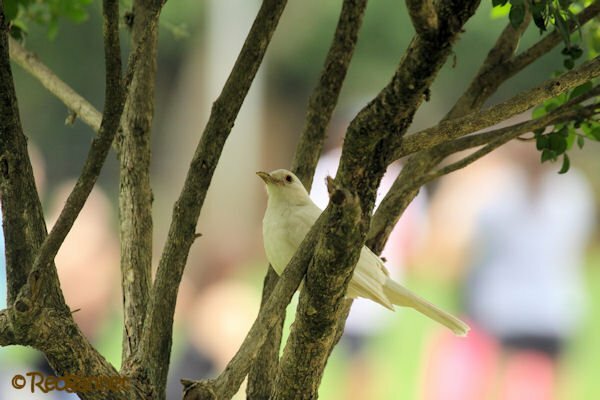 A return to Sao Paulo just 4 weeks after my last visit gave me a chance to check up on the leucistic Rufous-bellied Thrush that I had seen in Ibirapuera Park. I had seen it during both visits to the park in the same locale each time. This time it was easily re-found both times in exactly the same location and still associated with a small loose flock of more conventionally coloured Rufous-breasted Thrushes. I got to thinking. 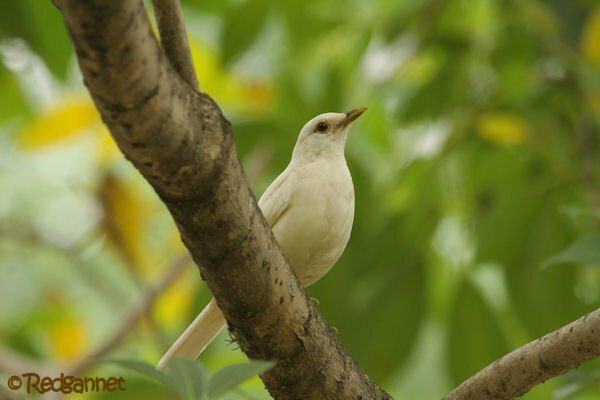 How loyal are the thrushes to a particular location when they are not breeding? How large is their patch? How loyal are they to a particular flock? There was no breeding behaviour evident amongst the thrushes on any of the 4 sightings over a 4-week spread from the last week of August to the last week of September, though other species were gearing up for the season, with a Southern Lapwing seen on eggs. An individual that can easily be identified could help to provide a few answers. 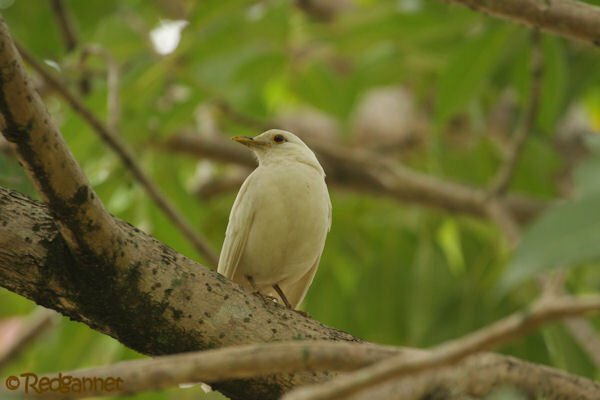 This white bird for example, has ranged over barely 300 square meters in 4 sightings over 4 weeks. That seems to be a very small home range. 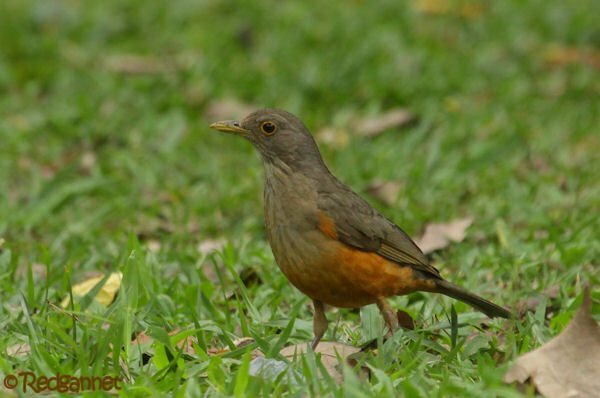 I counted 6 other Rufous-breasted Thrushes on my first visit and 6 again on my third and fourth sightings. This may be evidence, but is certainly not proof. Does anyone else have an identifiable individual, of any species, that they would like to share information about?